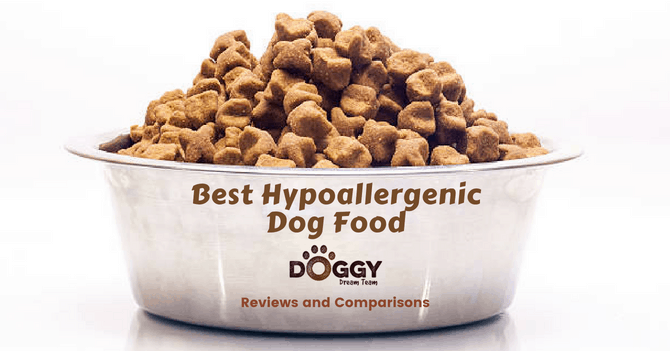 What exactly is hypoallergenic dog food? Quite simply it's about what the dog food DOESN'T contain, rather than what it does. Think of a person with a peanut allergy. Would you give them a peanut butter sandwich? Hypoallergenic dog foods contain a limited range of ingredients. The recipe is kept simple so as to reduce the potential for causing an allergy. Think of it this way; if you have only few ingredients in a product, it's much easier to choose one that doesn't contain nut products. What has this to do with dog food? 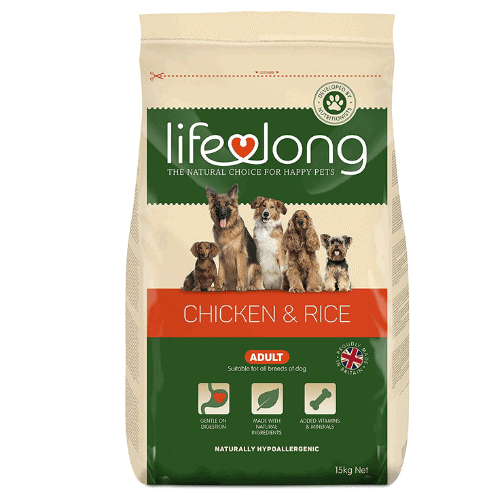 Feed a dog with a chicken allergy a hypoallergenic dog food made from chicken and rice, and guess what? He still show signs of allergy such as itching or diarrhoea. In practical terms this means sometimes even feeding a good hypoallergenic dog food for itchy skins can give disappointing results if it contains an ingredient your dog reacts to. So where do you start if your dog is itchy and the vet suggests feeding a hypoallergenic food for skin allergies? Whilst it might be realistic to feed the vet-recommended hypoallergenic dog food for french bulldogs to a small breed like this, feed that same expensive diet to a Rottweiler and you'll spend more on dog food than your dinner. However, there are good alternative options when you know how to shop savvy. Which is why we've done the taste testing for your best fur-friend and come up with the best hypoallergenic dog foods in the UK. Normally when we do product reviews we like to include a clear winner, in this case it’s not possible. Allergies and diets are something that is very unique to each and every dog. Only you and your dog will know your situation and what may suit you best. With that, review each hypoallergenic dog food product on its own merits and see what works best for you. This gem of a hypoallergenic dog food is a one of a few diets prescribed by vets for food allergies AND available outside of a vet clinic. In other words, if you want a food with the highest chance of working but without visiting the vet, this is one to choose. 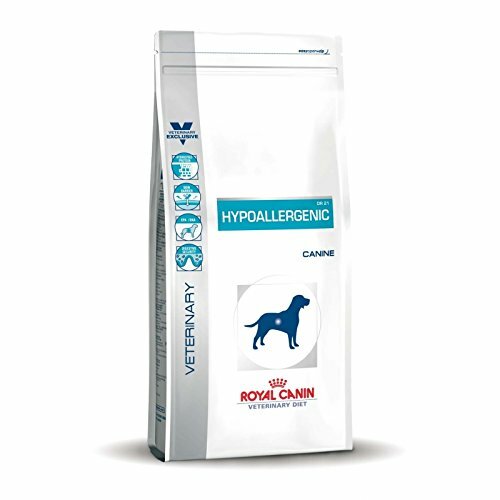 The reason this Royal Canin hypoallergenic dog food is effective is it contains hydrolyzed protein. What, you ask, is hydrolyzed protein? Good question, especially as it goes to the heart of why this food works. Here goes…. Food allergies are triggered when a food molecule fits into a receptor in the gut wall. Like putting a key in a lock, add the two things together and a door opens…which in this case means triggering the symptoms of the allergy. A hydrolyzed protein is one that is broken into pieces that are too small to bridge the receptor. Think of it like snapping the key in half so it wont turn the lock. Long story short, hydrolysed protein molecules are extremely unlikely to trigger food allergies, whilst remaining good wholesome nutrition. Most pet parents found their were happy to chow down on this food. This is great news as even if a diet is nutritionally perfect, if the dog doesn’t eat it there’s a problem. In all honesty complaints are few and far between, most often about damaged packaging and slow delivery than the product itself. This hypoallergenic dog food isn’t cheap but it is less expensive than when purchased at the vets. If the vet has recommended a special hypoallergenic dog food for ibd (inflammatory bowel disease) but you can’t afford the price tag, then this is your best option. Balance the purchase cost off against money saved from fewer vet visits! You know everything we just said about the Royal Canin product? Well, this is another great food stocked by vet clinics that the savvy pet parent can purchase at a saving. Purina HA is also a hydrolysed diet, where the protein molecule has been broken up to a size where it can’t bridge the allergy receptor. In addition, the carbohydrate part has been purified to make it less likely to trigger allergies. It’s also rich in omega oils which are a natural anti-inflammatory. For many owners whose dogs have itchy skins or suffer debilitating diarrhea, this diet made a big difference. Some dogs that didn’t respond to medication, turned a corner when put onto Purina HA, which is also a food recommended by veterinary specialists. Some pet parents felt the food appeared a little bland. However, be wary of adding tasty titbits as these could undo all the good work done by the special diet. Good quality and effective products don’t come at bargain basement prices…and neither does this Purina hypoallergenic dog food. However, what you will get is a saving on the price at the vets, plus quite possibly save the cost of repeated vet visits. 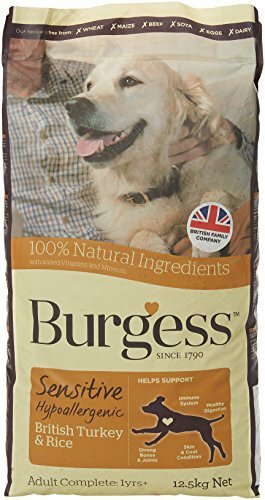 This Burgess food has a great price point and is labelled as hypoallergenic. Makes it a bargain! Or does it? On the plus side, this food has a limited range of ingredients, which means less potential for triggering allergies. But on the minus side, to be considered a true hypoallergenic diet it should contain just one protein source and one carbohydrate source. 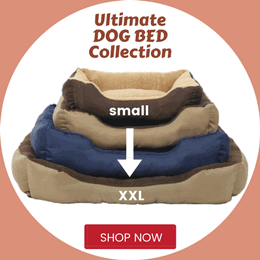 A more affordable option for dogs with sensitive stomachs. The limited number of ingredients is damage limitation when it comes to triggering dietary allergies. This means some dogs may do very well on this food. It also helps improve the quality of the dog poop and reduce bad gas smells…which has to be good. This may not be the answer for some dogs with dietary allergies. Strictly speaking it has a limited ingredient list, which helps reduce the potential for an allergy. However, dogs that are sensitive to the ingredients are still going to flare up. Trying to transfer them [my dogs] over very slowly by replacing old food with new food little by little neither dog could tolerate or get used to the new food as soon as at least a 1/3 of their dinner. Top marks for an affordable price for what is a good food. Thus, many dogs will do well on this food, but some won’t. A dog with an allergy to one of the ‘other’ ingredients in this hypoallergenic diet may still shows symptoms such as itchiness or upset tummies. 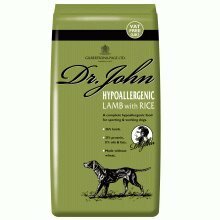 This Dr John Hypoallergenic dog food is described as suitable for working dogs. This implies it has higher energy levels. The latter means it contains more calories and best avoided if your dog is prone to weight gain. A good quality food that can benefit some dogs with allergies. My dog has itchy skin since he was a pup, he’s six now…. He has been on this food for about three months now and his problems have completely cleared up. Would recommend this product to anyone with a dog with similar issues. Sadly, for some owners of dogs with allergies this food didn’t make a difference. My dog has been scratching all the time again since she’s been on it. 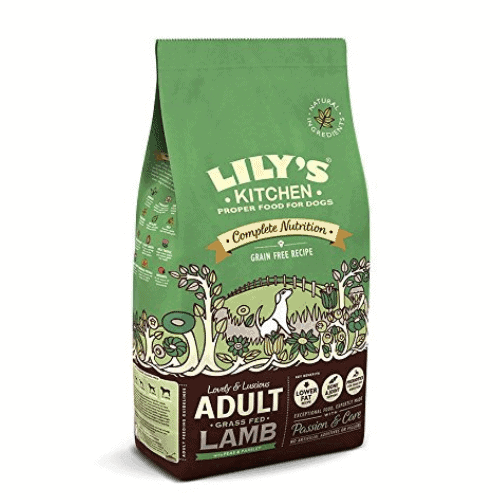 A competitively positioned food in terms of cost, for the pet parent who doesn’t want to break the budget feeding a low allergen diet to their dog. This Dr John food ticks lots of boxes and for a dog with allergies to wheat should work well. It also (like many hypoallergenic diets) bases many claims on it being wheat and gluten free. However, wheat allergy is relatively unusual in dogs (certainly not as common as pet food leads you to believe) so don’t set too much store on the importance of being ‘gluten-free’. As the name suggests this hypoallergenic dog food is made from salmon and sweet potato. It has a great reputation and is competitively priced. But here’s the rub, it also contains other nutritional goodies such as green lipped mussel (for joints), rosehips, oregano, sage, and citrus extract. This is all very well, but each additional ingredient is an extra which could potentially trigger an allergy. Our Staffie girl suffers dreadfully with bad tummies, she goes off her food for days… and her tummy makes squealing noises and she would be so poorly, since changing to this food she is now pain free and hasn’t had a bad tummy since! so will be sticking to this food for good now. Contains other ingredients such as tomato, citrus essence, and herbs, which some dogs may be allergic to. 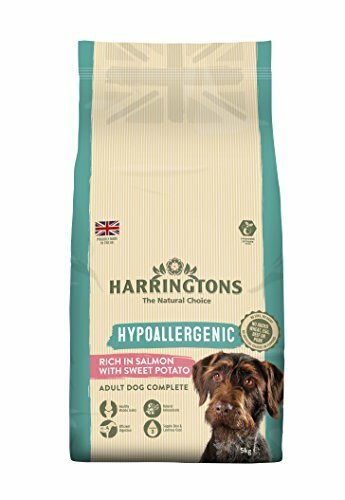 Unfortunately the Harringtons food upset a few dogs stomachs, possibly proving the point that with hypoallergenic diets sometimes less-is-more when it comes to ingredients. A real winner for those looking for a quality hypoallergenic diet on a budget. However, doesn’t it doesn’t work for everyone. As with so many hypoallergenic diets, keep an eye on the added extras. Remember the more ingredients there are, the more there is for the dog to react to. If your dog’s symptoms don’t improve with this diet, it might be one of the ingredients he’s reacting to. For some dog this food stopped their itchy skin and upset tummies. Left our dog’s wind smelling pretty dire but he seemed happy enough. A competitive price for dogs who would benefit from being fed a food with a limited ingredient list. Another good quality dog that offers benefits for dogs with a sensitive digestion. 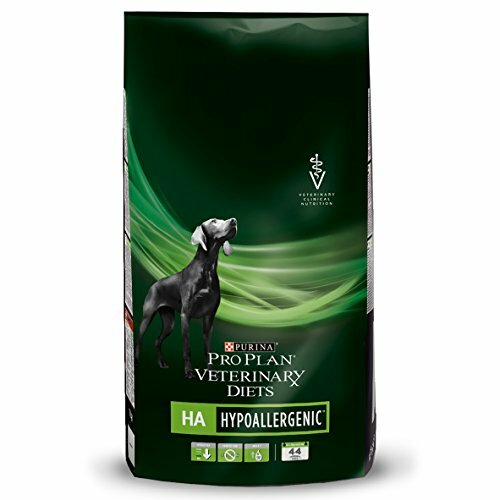 However, like so many hypoallergenic dog foods, this diet is low in many of the ingredients which can trigger an food intolerance, rather than being a true hypoallergenic diet. The grand-daddy of hypoallergenic dog foods. This was the first truly hypoallergenic commercially available dog food and the one to which other diets aspire. First, on the market, it set the standard for other hydrolysed diets such as Purina HA and Royal Canin Hypoallergenic. An 80% five-star approval rating says that this product does what it says on the label. As close as it’s possible to get to a cure without drugs, for those dogs with a food allergy. 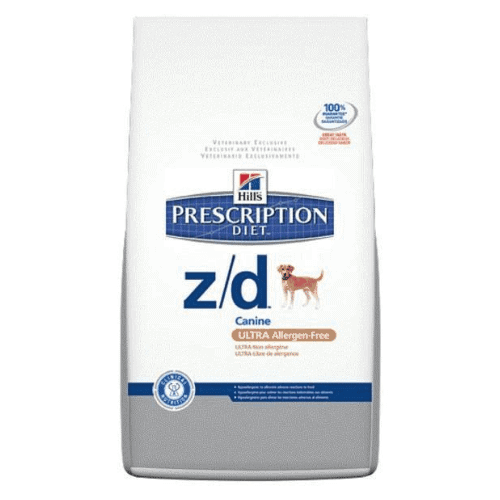 It’s [ZD] impact on her health and vitality had been noticeable after just the first bag. Not the most appealing flavour for some dogs, and may not go down well with picky eaters. This is an expensive diet …but for a reason! It will provide for all your dog’s nutritional requirements but in a way that is extremely unlikely to trigger a food allergy. On the one hand the diet isn’t cheap, but on the other it could save distressing stomach upsets and costly vet visits. 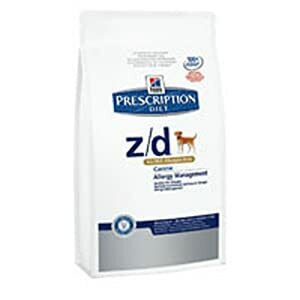 Hills ZD is the ideal to feed as a dietary trial to test out if your dog has food allergies. The idea being that this food is very, very unlikely to trigger a dietary allergy, so if his symptoms persist despite being on ZD then he doesn’t have a dietary allergy. In all honesty this food doesn’t market itself as hypoallergenic. But we felt compelled to include it because it contains a limited range of good quality ingredients and has many of the properties of a hypoallergenic diet. If you’re looking for a good wholesome food that is free from cheap ingredients that upset your dog’s stomach, then consider this diet. 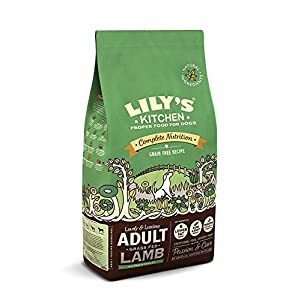 We purchased this after being recommended by our vet after our cockapoo, kept getting sore smelly ears and bad flaky itchy stomach. So far so good, no more itching or smelly ears. 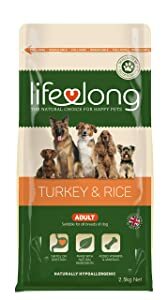 A great all purpose diet that has similar features to a hypoallergenic dog food but without making unsubstantiated claims. A sensible option if your dog has mild problems and you’re wondering about a change of food. Never underestimate the importance of ruling out food allergy if your dog has itchy skin or regular stomach upsets. However, choosing a ‘hypoallergenic dog food’ can be tricky if you don’t know what to look for. Remember, a label claim stating ‘hypoallergenic’, doesn’t mean a great deal. Your best guide is to read the ingredients and seek a product low in whatever it is that makes your dog sick…And if in doubt, choose a food containing hydrolysed protein.